I want my Mac (running macOS Sierra), to stop hiding Dock when I enter Command + Option + D.
I need to use that key command for InDesign. 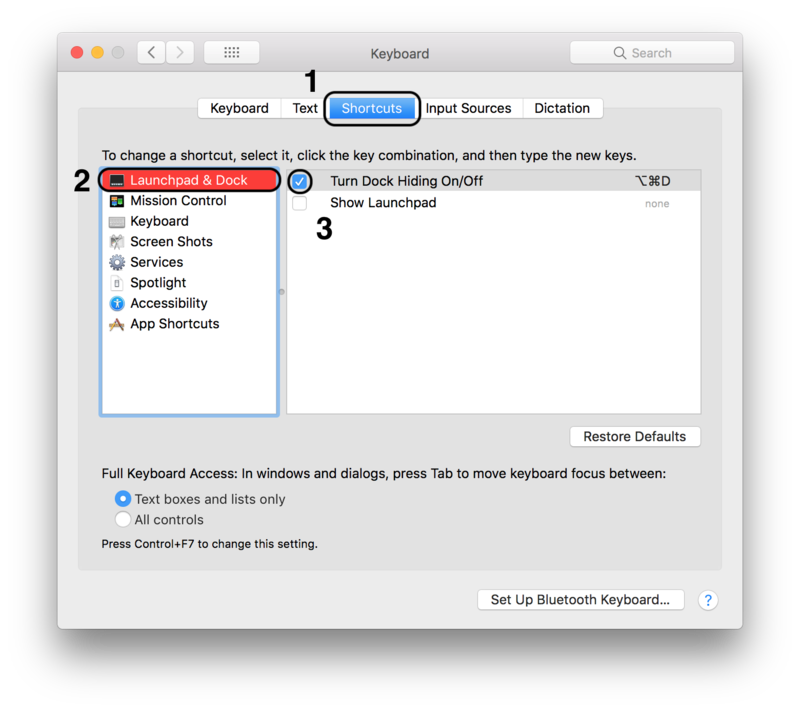 Uncheck "Turn Dock Hiding On/Off"
You can edit the keyboard shortcut by going to System Preferences app → Keyboard → Shortcuts → Launchpad & Dock and assign a different non-conflicting shortcut for toggling Dock display. 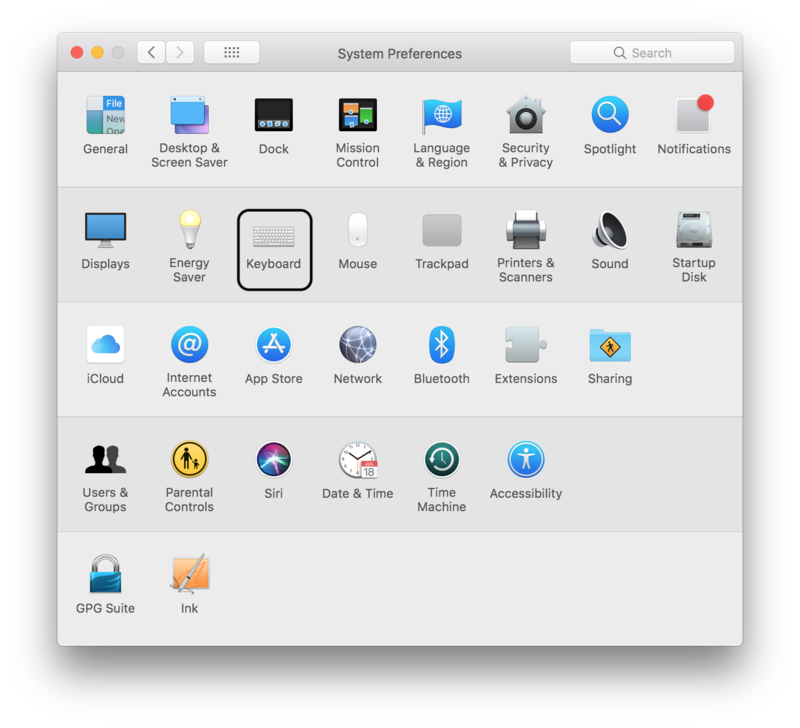 Go to System Preferences/Keyboard, From there select the Shortcut tab at top of window. The 1st option on the left is LaunchPad and Dock. When you select that you see an option to make control-command-D a shortcut for Dock, Uncheck that option. One other possibility is to remap the shortcut in InDesign to something else. 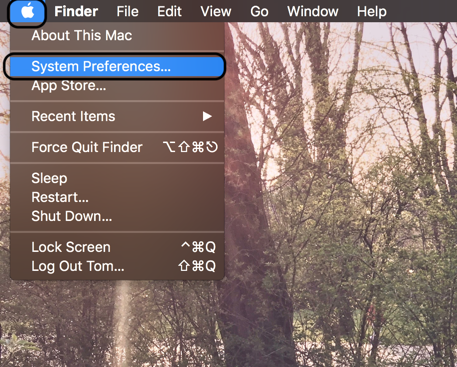 You can do this by going to System Preferences > Keyboard > Shortcuts > App Shortcuts. Add a new shortcut. Select the InDesign application, the shortcut you want to use, and the menu bar item which this shortcut will trigger when you press that key combination in InDesign (this will only work if you have a menu bar option for whatever you want to trigger). Not the answer you're looking for? Browse other questions tagged macos sierra dock . Command-line stop MacBook from sleeping when lid is closed? App Store still shows download option for Mac OS High Sierra?